Welcome to the Dirty City, a world of endless enigmas where fiction and reality are frequently intertwined; a city of surreal storytellers, ingenious acts of corruption, mass hypnosis, synchronised sleepwalking, scenes of impossible trickery, tales of passion, confusion and friendship. 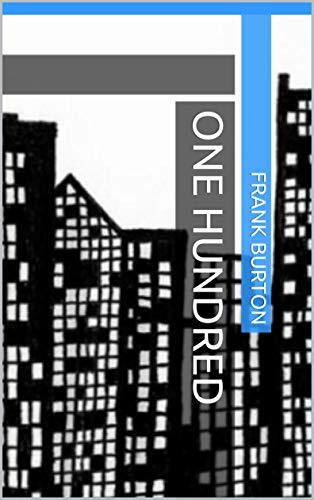 With a large cast of unique and outlandish characters, One Hundred is a novel like no other. “A wonderful collection of decidedly weird short stories. Every single one of them is a gem. If you don't believe me, why not linger for a while and read the first one, a dysfunctional love story told in alphabetical order? I think you'll like it." Scott Pack, Me and My Big Mouth. "Frank's characters are startling, fragile, hilarious and chilling. If you haven't had a chance to delve into Frank's world yet, and you're not afraid your visit might turn into a long-term, straight-jacketed order of commitment, I highly recommend it. Every time I think he can't outdo himself again, he ups the ante and takes it one stupendous step further." "...these stories are intriguing and erupt into the reader’s experience in a much larger way than the few thousand words of a short story might suggest ... clever and affecting ... the author’s voice and style are so strong and individual ..."
This admission by Mark Greensleeves, the compulsive liar in the story, Some Facts About Me, sums up Frank Burton’s sharp, surreal and subversive short story collection, A History of Sarcasm. The seventeen stories in this collection blur the boundaries between fact and fantasy through a series of obsessive characters and their skewed versions of reality. Among them are a man who insists on living every aspect of his life in alphabetical order, a girl who believes she is receiving secret messages through the TV, a paranoiac who is pursued by an army of giant lobsters, and an academic who turns into a cat. 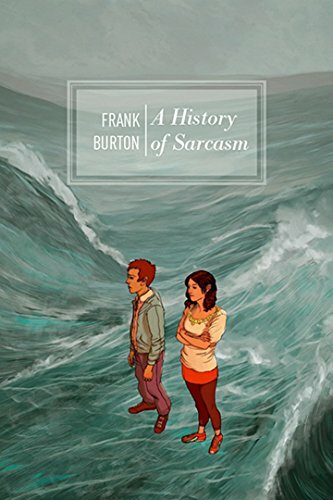 Funny, dark and relentlessly off the wall, this collection brings together the best of Frank Burton’s published work with some brand new stories.